Create and design innovative artworks / projects for Rizkallah’s programs based on the foundation’s method and standards. . Cooperate and coordinate with Rizkallah’s business partners to deliver the company’s services in compliance with its vision, mission, ideals & image. Developing children and adults’ artistic skills, knowledge and exposure through Rizkallah’s programs, method and philosophy. Instruct & Educate Children & Adults through Rizkallah Art’s curriculum, Educational program as well as our philosophy. Monitor & Evaluate children’s progress. Coordinate with Rizkallah’s administration concerning the attendance and registrations of our programs. 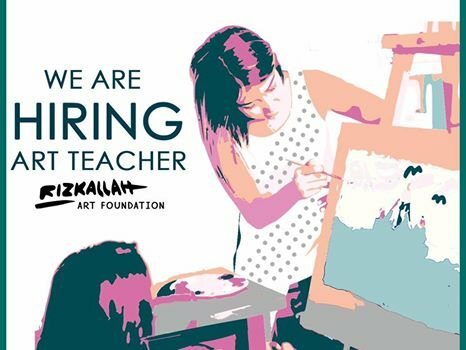 To apply send your CV on recruitmentrizkallah@gmail.com stating the job title “Art Teacher-RA” in the subject. برنامج التدريب الصيفى 2019 للطلبة بشركة بيبسيكو.